Dawson Designs has posted new cockpit screenshots from the upcoming Virtavia Boeing C-17 Globemaster III for X-Plane. The Microsoft Flight Team has posted another teaser from the upcoming Alaska DLC package for Microsoft Flight. Thai Creation has revealed their next scenery project, Mumbai Chhatrapati Shivaji International Airport (VABB). Season 3 of Flying Wild Alaska starts Friday, June 8th at 10PM Eastern/Pacific on Discovery Channel in the U.S..
New Previews have been posted from the upcoming RAZBAM McDonnell Douglas AV-8B Harrier II for FSX. Lionheart Creations has posted several screenshots from the default Mooney M20 in the upcoming version of Prepar3D. The recently released RealAir Simulations Lancair Legacy for FSX is now also available to purchase at SimMarket. Thierry Massieux has released Cayenne Rochambeau Airport (SOCA) for FSX. Now available to purchase at SimMarket. The Project Airbus Team has officially announced development of the Airbus A330 and A340 aircraft family. Khamsin has posted the rather intriguing screenshot titled "Pacific Islands Test X-Plane 10 - WIP" on his blog. Orbx has released the Jackson Hole Airport (KJAC) scenery for the FTX CRM region. Details at the Product Page. LHSimulations has posted new preview pictures from the upcoming Győr-Pér Intl. Airport (LHPR) for FSX and FS2004. FranceVFR has released the PACA (Provence-Alpes-Côte d'Azur) Photo HD Vol.1 scenery for FSX. - Scene covering an administrative region in photo-realistic textures high definition. - Ground textures from 0.85 to 1 meter / pixel resolution from aerial photography IGN reworked for an optimal visual rendition in FSX (summer only). - Mesh (relief) 4.75 meters high definition specific real (LOD13). - Lakes and rivers with navigable waters entirely cut. - Footprints bridges gummed texture. - Geo-referenced timing for maximum compatibility with future add-ons installed on the same area. - Development process 100% compliant with FSX SDK specifications, ensuring maximum compatibility with the arrival of new versions. - Principle of open stage for an easy integration of scenes from other publishers. Flysimware has last week quietly released the Cessna 195 for FSX. More information and purchase at the Product Page. FlightSim Development Group has posted more previews from the upcoming freeware Oresund Bridge and Surroundings. New preview screenshots have been posted from the upcoming version 2.3 update to Ground Environment X (GEX) Europe. Carenado has announced official support for Prepar3D. Check out the Prepar3D section at the Carenado Website. Aerosoft has posted new preview screenshots from the upcoming Mega Airport Düsseldorf (EDDL) for FSX and FS2004. Aerosoft is offering 20% discounts on all Mega Airports sceneries for FSX and FS2004. Valid through June 4th 2012. JRollon has posted virtual cockpit texture previews from the upcoming British Aerospace Jetstream 31/32 for X-Plane 10. DreamFoil Creations has posted another teaser from the upcoming Aerospatiale AS350 Ecureuil for X-Plane 10. Khamsin has released the freeware Boeing B-17G version 1.1 for X-Plane 10. Available to download at X-Plane.org. TruScenery has released the Hyvinkää Airfield (EFHV) scenery for X-Plane. Now Available at the X-Plane.org Store. Taxi2Gate has posted more preview screenshots from the upcoming Toncontín Intl. Airport (MHTG) for FSX and FS2004. 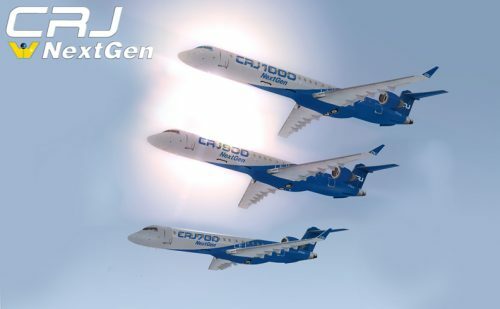 Wilco Publishing has updated the Bombardier CRJ NextGen Series for FSX to version 1.2. Available at the Product Page. FS2Crew has released version 1.4 of the PMDG Boeing 737NGX Edition for FSX. Available at the FS2Crew Online Store. The Microsoft Flight Team has released the Vought F4U Corsair DLC aircraft package for Microsoft Flight. Aerowinx has posted new alpha screenshots from the PSX Boeing 747 simulator currently under development. AeroSim has released the Boeing 787 Dreamliner for FSX. More information and purchase at the Product Page. The Virtavia T-34C Turbo Mentor is 50% off at PC Aviator and the AlphaSim B-2A Spirit is now available as freeware. The upcoming VertigoStudios Boeing Stearman 'Kaydet' PT-17 for FSX is now available to pre-order at the PC SimStore. TropicalSim has posted teaser screenshots from the upcoming Rio de Janeiro-Galeão Intl. Airport (SBGL) scenery. The freeware Ryan NYP Spirit of St. Louis has been converted to a FSX native model. Details in the SOH Forums. Image courtesy of Bomber_12th from the SOH Forums. - SUMU (MVD) airport completely modeled with significant attention to detail. - Texturing in HD mapping for all buildings and ground polygons. - More than 50 kilometers of photo scenery with hand placed autogen. - Revised land classes for surrounding photo scenery. - Fully AI traffic compatible. - Inclusion of manual in PDF format. RealAir Simulations has released the Lancair Legacy for FSX. More information and purchase at the Product Page. - Trademark best-of-business flight modeling with improved spins, sideslips, aerobatics and superb handling, as well as extremely stable autopilot control. - Beautifully designed interiors with smooth lines, crystal clear gauges, subtle reflections and all controls animated. - Exterior and interior models now integrated for best experience with camera addons and track IR. - High resolution multi-LOD exterior 3D models with optional frame rate friendly versions for multiplayer sessions. - Optional RXP GNS WAAS gauge integration (RXP gauges are a separate purchase from Reality XP). - RXP configurations include: 1 x GNS530, 1 x GNS430 + 1 x GNS530. If you have the RXP Unlimited pack you can also choose 2 x GNS530, 2 x GNS430 or 1 x GNS530 + 1 x GNS430, all with crossfill. - Airframe vibrates in reaction to engine rpm changes, gear and spoiler deployment, runway surfaces, engnine startyp/shutdown and mishandling. - Gauge needles that vibrate on the ground in response to engine and ground roll vibrations. - Nearly 100 Custom sounds, including all cockpit switches, G effects, canopy-open windblast, gear, aileron flutter, doppler fly past etc. - Flap Failure mode with custom animations and sound effects. - Belly landing capability for gear up landings. - Grass or concrete touchdown sounds option. - Full multiplayer support with low latency and efficient coding for multiplayer sessions. - Yaw and out-of-balance yaw sound effects. - Carefully implemented start up and shutdown animations and sounds. - Full IFR capability - or fly by the seat of your pants! - Custom 3D landing lights, navigation lights and strobe lights. - Dozens of custom animations including a canopy that realistically repsonds to wind force. - Control sticks and control surfaces that move in response to trim changes. - High detail skinned-mesh pilot. - Spoilers with custom wind sound effects and cockpit buffet effect. - Aileron flutter when flying above VNE with accompanying custom sounds. - Fully functioning cockpit when viewed from exterior view, plus the option of a less highly detailed model for multiplayer. - Multiple options for many of the above features. - 3D blurred propeller effect with custom animation that includes simulated cylinder compression of startup and shutdown. - 2048px "High Definition" VC and exterior textures. - Five unique liveries all with uniquely coloured virtual cockpits. Project Airbus has posted several teaser screenshots of what appears to be an Airbus A330 currently under development. Navigraph NAVData AIRAC Cycle 1206 is now available. Purchase Credit Packs at Navigraph or SimMarket. MilViz has added more preview renders from the North American F-86 Sabre for FSX to the Facebook Album. The freeware Rockwell OV-10 Bronco for FSX and FS2004 by Tim Conrad is now available to download at Rikoooo. McPhat Studios has posted more panel preview screenshots from the upcoming Coolsky Douglas DC-9 for FSX. 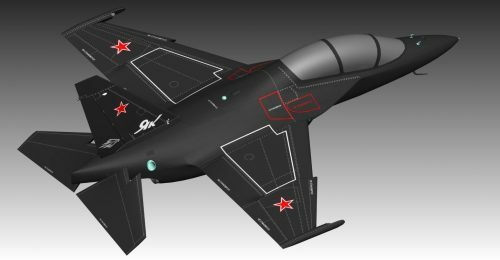 IRIS Flight Simulation Software has posted more development renders from the Yakovlev Yak-130 for FSX. Orbx has posted the last screenshots from the soon to be released Jackson Hole Airport (KJAC) for the FTX CRM region.